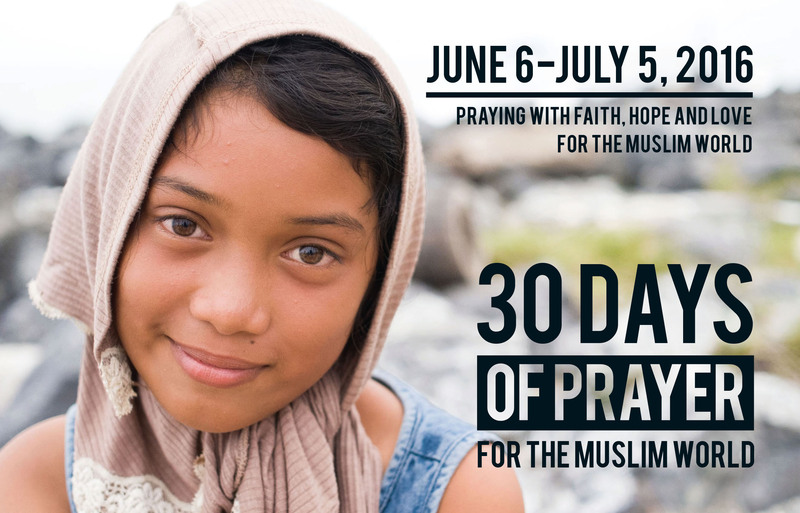 Since its start in 1993, the annual, 30 Days of Prayer for the Muslim World prayer guide by WorldChristian.com has grown to play a significant role in the lives of many evangelicals. Written to coincide with the Islamic month of Ramadan, the 30 Days prayer guide has been used throughout the years to encourage prayer for the evangelism and salvation of Muslims around the world. It is therefore, with regret, that I bring your attention to two related concerns from the content of this year’s edition that may not be apparent to every reader, namely, the advocacy for C5 or Insider Movements for Muslims (C5/IM) and “Muslim Idiom Translation” (MIT). “Pray for protection from the forces of evil represented in…syncretistic religion” in West Africa is part of the second prayer request found for Day 4/June 9 (p. 10). With great irony, this same request needs to be prayed for regarding the C5/IM being propagated by the author(s) of this prayer guide. The daily, unsigned articles are often written in ways that force the reader to assume the validity of C5/IM which is no less full of the forces of evil as a syncretistic religion than any syncretistic religion found in West Africa (for an overview of C5/IM see this article by Khalil Ullah. A fuller treatment can be found in this article by David Garner and in the book, Chrislam: How Missionaries are Promoting an Islamized Gospel). The following two sections present samples of C5/IM and MIT content from this year’s 30 Day prayer guide followed by my comments. Although the examples that I give are not comprehensive, they are sufficiently representative. May this article be the means of calling the author(s) to repentance and those Christians who use them to exercise discernment and where needed, church discipline. We must be vigilant to not allow the excitement often generated by reported advances of the Gospel among Muslims to ignore the blatant disregard for the teaching of the Bible that is inherent to C5/IM. The Holy Spirit does not use means that contradict the Word of God of which He is the Author (e.g. 2 Tim 3:16; 2 Pet 1:21). In this fallen world, it is possible to have error parading as truth. Consider the first sentence of the above quote in its simple form: “Christians…are lost without a Savior.” This sentence is completely untrue according to the biblical use of “Christian” (Acts 11:26; 26:28; 1 Peter 4:16). The Bible does not present “Christians” as “lost without a Savior” but rather as an identifier of those who have put their faith in Jesus Christ as their Savior from sin and are His followers. When those who are born of the Holy Spirit refer to themselves as “Christians” and tell unbelievers that they need to become Christians, they are referring to the biblical use of this word. They are not referring to its nominal use by unbelievers who are not born of the Holy Spirit. The use of “Christian” in the article from Day 1 is written in such a way that the reader is forced to accept the premise of “Kingdom Circles” of which more is written below (see comments after the following quotes). The teaching of C5/IM can be seen in several places in the above selections from Day 6. In Yusuf’s quote, “make [Muslims] Christian” is stated to be a “religious blanket” that hindered his “success” in leading Muslims to “faith.” In this we see two things: first, “Christianity” is defined as something “religious” (as opposed to its biblical usage); second, Muslims do not have to become Christians. More examples of C5/IM teaching are found in the words attributed to Sheikh Abu Salam. He refers to himself as “a Muslim follower of Isa al-Masih” (the quranic name for Jesus Christ). He also legally demands his right to remain in the mosque which, according to orthodox Islamic teaching can never be reconciled with biblical teaching (see The Mosque Exposed). Another example of C5/IM teaching is that of “a Muslim woman” who speaks as if she has faith in Jesus. She is not even referred to as a “Muslim follower of Jesus” but simply as a Muslim. In addition to this abandonment of any identity with Jesus, this woman is quoted as asserting that Muslims can only be saved by “brothers and sisters risk[ing]themselves” by “go[ing]into the mosque.” This going into the mosque is erroneously equated with the Incarnation. The notion that the Incarnation is the ultimate divine example for cross-cultural “adaptation,” degenerating in this case to syncretism and compromise, is unbiblical and inexcusable. The Incarnation of our Lord and Savior, Jesus Christ, the eternal Son of God who became the Son of Man has to do with the redemption of our souls from the slavery to sin. The Incarnation is not presented in the Bible as a prerequisite for God to relate to humans but rather is part of the costly price necessary for the salvation of sinful people. By far, the most obvious example of C5/IM teaching in the above quote is found in the words attributed to “several voices” of Muslims in which they say, “we insert Jesus into all of our Muslim practices.” A more explicit statement of syncretism between Christianity and Islam is difficult to fathom. In the obligatory prayer that Muslims are commanded to pray five times a day, they repeatedly state that “Muhammad is the Apostle of God.” According to the teaching of Islam, this is an affirmation that Muhammad is the “seal of the prophets” (i.e. the final prophet) who supersedes all of the “prophets” in Islam, including Jesus Christ. It is impossible to “insert” Jesus into such a practice and truly honor Him as Lord. As Jesus told us, no man can serve two masters (Matt 6:24). Spiritual polygamy is not part of the Gospel. Second, “every movement of Muslims to faith in Christ today” is not the result of the use of MIT. For instance, the great number of Iranians who have converted to Christianity since the Iranian Revolution in 1979 has relied upon historical translations of the Bible. The thousands of Berbers in Algeria who have converted to Christianity have also done so without the use of MIT. Since I have addressed this topic in greater depth, I refer the reader to my thesis, “Muslim Idiom Translation.” For a selection of Islamized wordings in various MIT versions see this chart. In conclusion, I am calling on those responsible for the 2016 edition of the 30 Days of Prayer for the Muslim World prayer guide to repent of their promotion of syncretism. Unsuspecting readers, especially professing evangelicals, most of whom have little to no knowledge of C5/IM, will often miss the import of cleverly-worded articles filled with double entendre and question begging. Eventually this kind of deceit will rot the good reputation that this prayer guide currently enjoys among genuine evangelicals. Even more sobering than this loss of good reputation is the prospect of having to answer to God for this scandalous publication. I appreciate your acute evaluation of this web site. I have been praying with them for the last several years. I will look more closely at what is written. I however, will not quit praying focusing on these nations. I can’t say that I have ever been led into viewing or understanding the prayers for each of these nations as endorsing any particular orientation to missions. Simply asking – beseeching – God to visit, redeem, and save the people of a nation, seems to me to be pretty doctrinally neutral. I do want to take a little issue with your characterization of the Kingdom Circles as promoting a C5 orientation. When I use it I envision a C4 picture. I see it as illustrating the Edict of Jerusalem in Acts 15, nothing more. On another point , when you speak of “Christian” are you talking about the liberal churches who call themselves Christians. Are you talking about Roman Catholics, Jehovah Witnesses, Mormons, Baptists, Lutherans, or just Assemblies? I may not like it, but I don’t see any of us owning the term Christian. (See “Are you a Christian or a Disciple?” by Ed Gross for a good discussion on this). With the early Gentile church, obviously the edict said that beyond the centrality of Jesus little else was required to be part of the church. Again, I picture a C4 story here, not the C5 one that you do. And in the story of the churches in Acts, I see the guidance of the Holy Spirit rather than a particular missiology. “What do the scriptures teach and what does the Holy Spirit want us to do to respond?” I do have my preference, it is not C5 as a goal, but I believe that when Jesus said that he would build his church, that he means just that. I will read more carefully to what is written and said in the future. Thank you for making me aware.